All I could divine from that image was that my iPod was not very happy. My first thought was “Maybe the battery is extremely low” since it had been a while since I had last plugged it in. But despite letting it “charge” for a couple of hours, I never saw any change. Next I Googled the symptoms to try and troubleshoot the problem. 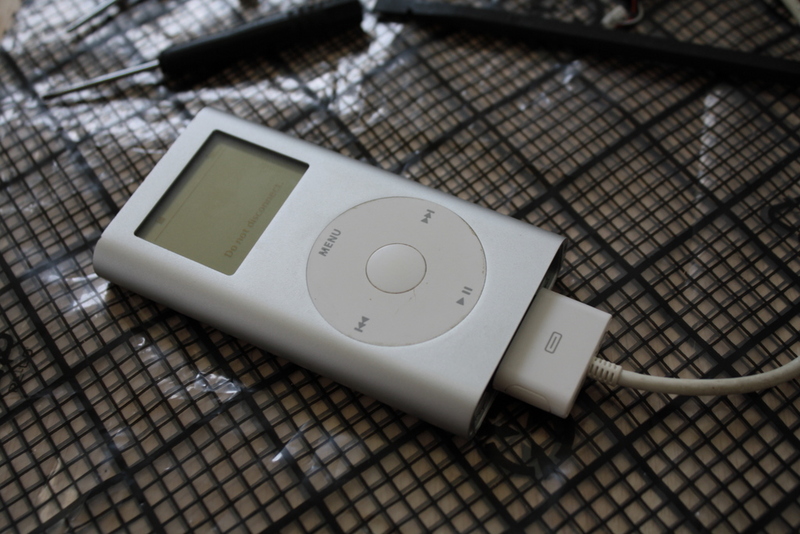 Most sites suggested either restoring the firmware via iTunes or putting the iPod into a special diagnostics mode. 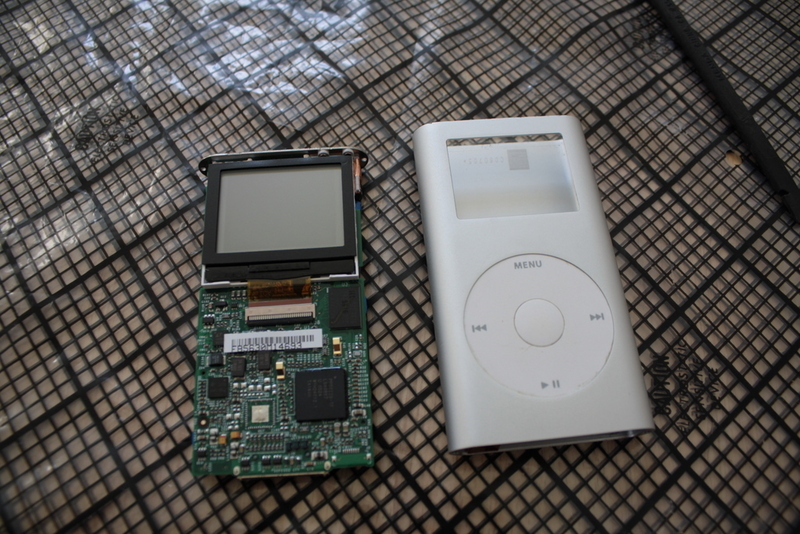 Neither of those worked because I could never get the iPod to be recognized by the PC as being attached and despite repeated attempts to restart it into the diagnostics mode I would only receive the sick iPod screen. As I cradled my beloved Mini in my arms I noticed a strange clicking sound. The sound that my highly trained mind immediately recognized as the feeble attempts of a perishing harddrive to spin up. 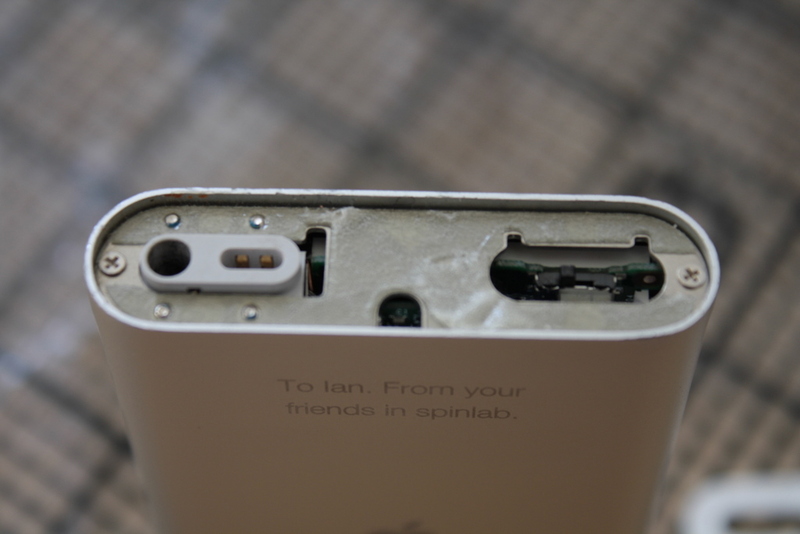 Clearly this was serious: my iPod was no more. I was very sad. Now you may be thinking to yourself, “Ian is a highly paid engineer. Why doesn’t he just buy a new iPod. The Mini is like a thousand years old. The new Nanos are slim, have color screens, play movies, and cost less than $200. What’s the big deal?” Well I’ll tell you. 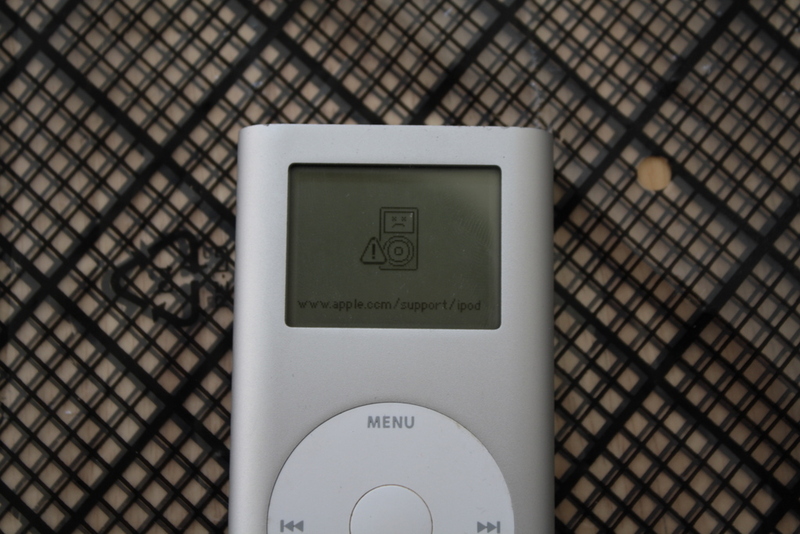 First, my iPod Mini has extreme sentimental value to me. It was a gift from one of my favorite college professors for working gratis on a summer project. Second, it’s a great design. It’s small but still easy and comfortable to hold and the anodized aluminum case is attractive and sturdy. 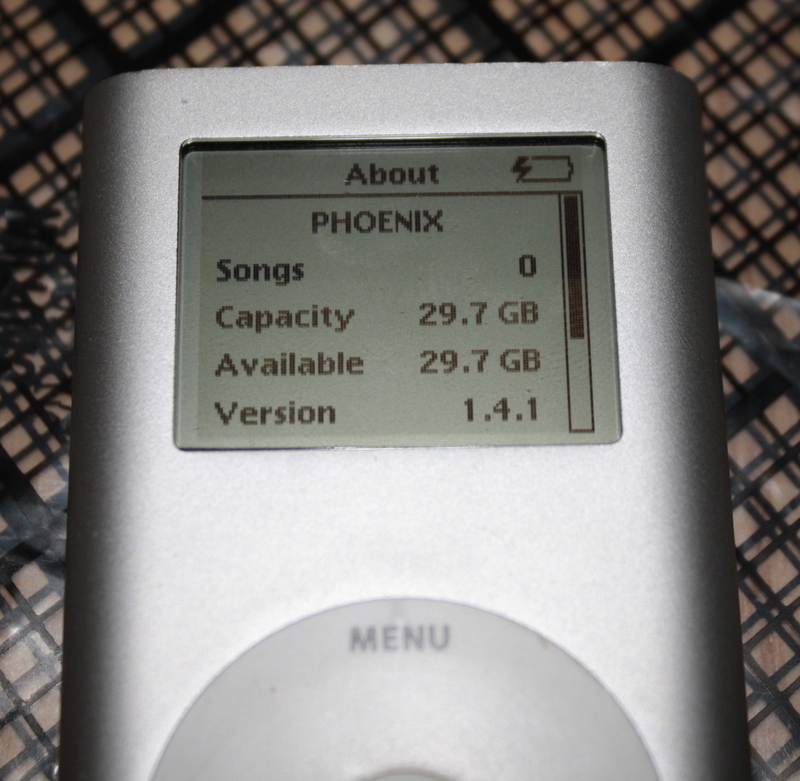 Third, it’s one of the few iPod models (for now) that can run Rockbox, an alternative firmware that let’s me play audio formats other than MP3s. This is handy since I’ve switched my audio library over to the FLAC format. 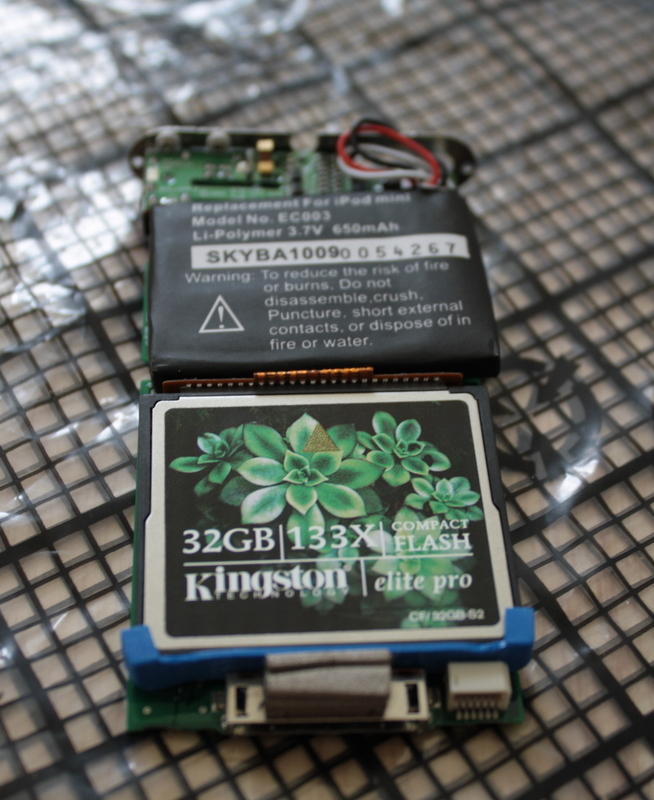 So I decided I would look into fixing my iPod. 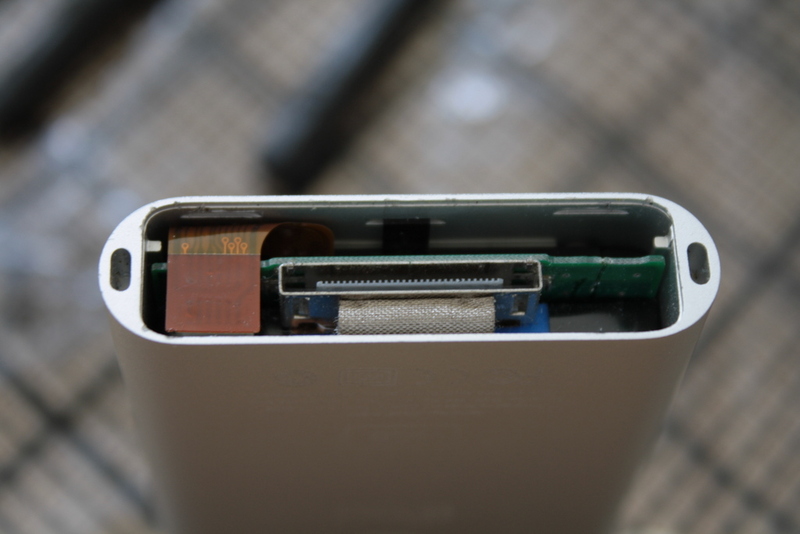 I knew people had successfully replaced iPod batteries before, but I wasn’t sure how easy it would be to fix the harddrive. As it turns out, it wasn’t hard at all. 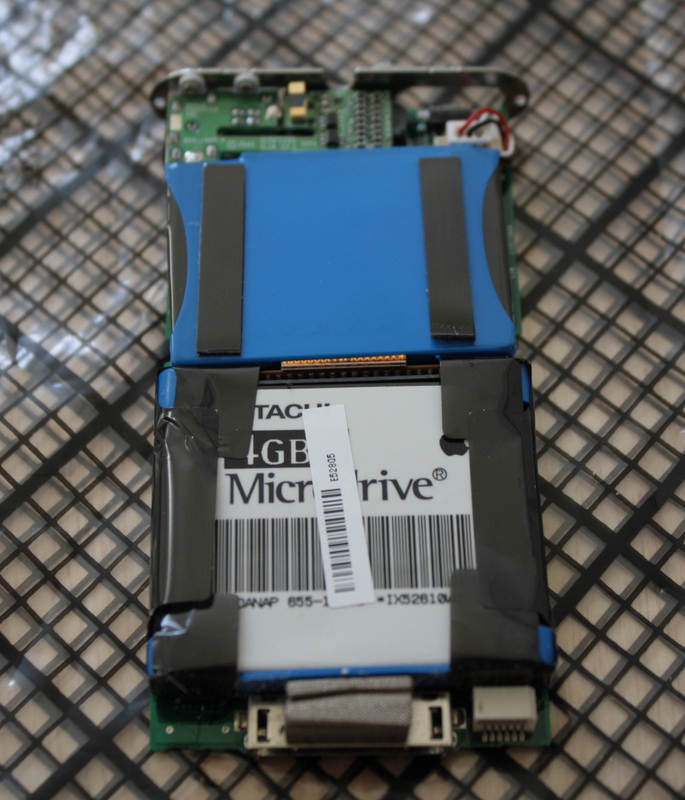 Not only can you replace the harddrive, you can replace it with a CompactFlash memory card and even increase the storage capacity of your device. 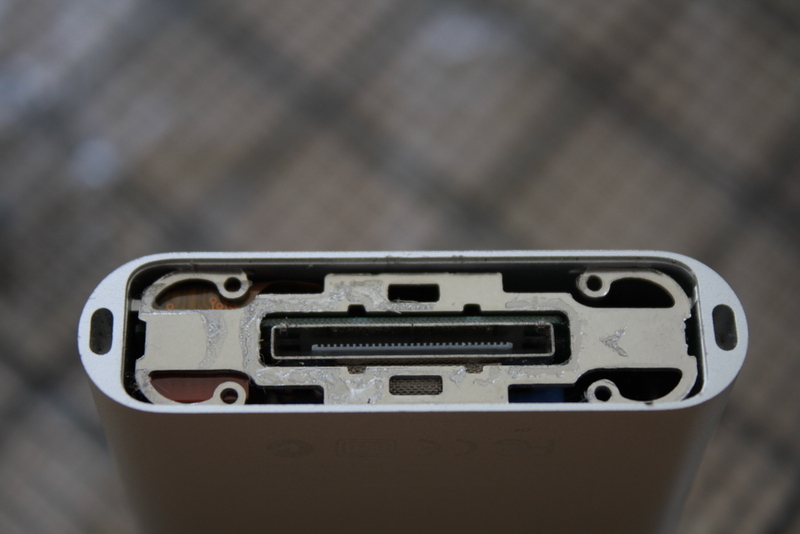 There’s even a company, iFixit.com, dedicated to provided spare parts and guides for fixing Apple products. 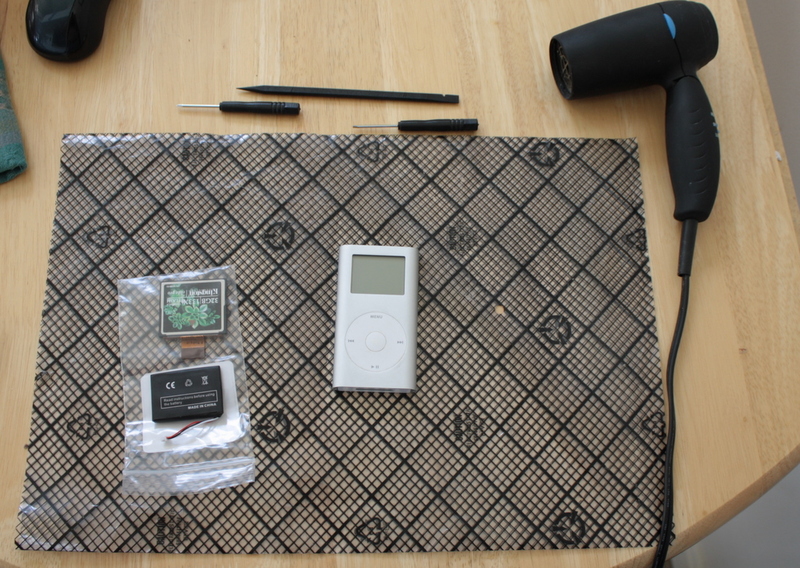 For $100 I was able to order a 32GB CompactFlash card, a new battery with a higher capacity, and the tools necessary to disassemble my iPod. 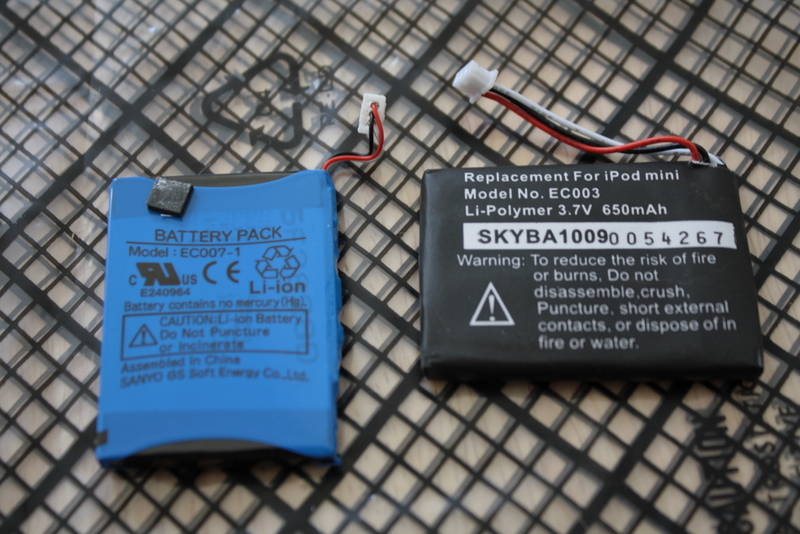 The one on the left is the old iPod battery, the one on the right is the replacement. The whole process was pretty painless. 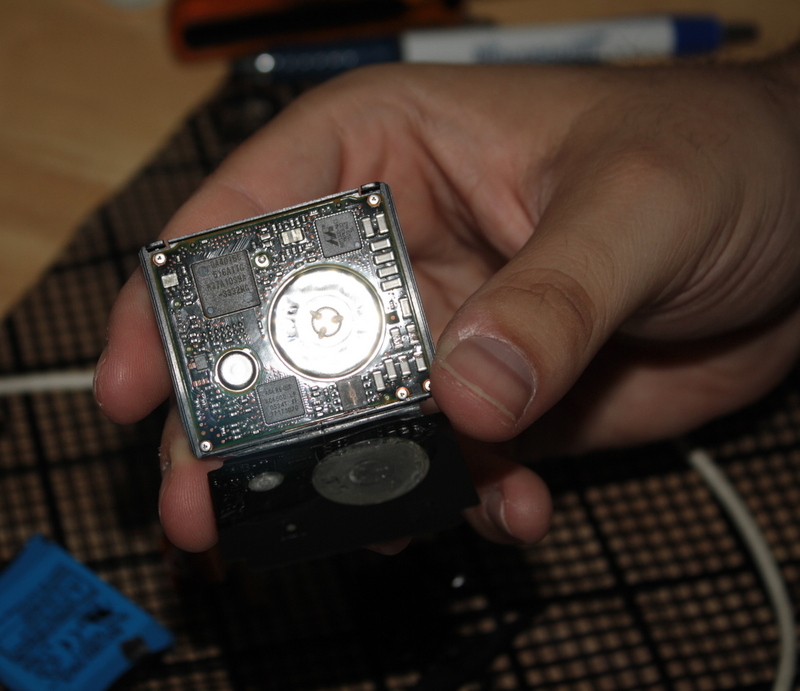 The guides from iFixit clearly explained how to do everything. It took me two hours to do everything, but most of that was getting iTunes to recognize the iPod so I could reinstall the firmware. 1. I refuse to use any facebook application other than the one that gets my status from twitter. 2. I have an irrational fear that an overhead airplane will crash into my general vicinity. 3. My wife and I have had conversations using nothing but movie quotes. 4. Through the attrition of teammates at work, I am now responsible for 35,000 out of 45,000 lines of code. 5. When I started high school I received a locker magnet that said “Excellence is not in being the best, but in doing your best”. This has had a profound impact on my life. 6. I have carried on conversations at work speaking nothing but acronyms. 7. I’m very, very good at Sudoku. 8. I own a shirt with a built-in WiFi detector. 9. The longer I live, the larger my concept of the love of God becomes. 10. My middle name is Chandler. Yes, like on “Friends”. 11. I spent 15 months addicted to World of Warcraft. 12. I can count the number of grades I’ve received (including high school, college, and grad school) that were not A’s using only my fingers. 13. I estimate that I’ve spent 25,000 hours over the last twelve years using a computer. And yet I’ve never gotten carpal tunnel syndrome. 14. My favorite numbers are prime or powers of two. 16. I married the first girl I kissed. 17. I’m secure enough in my masculinity to admit that I’m a sucker for any romantic comedy involving Tom Hanks or Meg Ryan. 18. My favorite color is teal. 19. If I had enough money I would buy an island and build a castle on it. 20. You wouldn’t call me passive-aggressive if you knew how it made me feel. 21. In my opinion, I’m terrible with human relationships. 22. My favorite place on earth is Acadia National Park. 23. I always get embarrassed when people discuss finances. 24. Despite the fact that the class was named “Applicable Complex Variables”, I never learned any applications for complex variables in it. 25. I’ve had the same hair style my entire life. Darling, we can work this out. Please come back to me.